Xiaomi has released Mi Mix smartphone last year but it was exclusive to china. Recently, the white variant of Mi Mix went on sale and was sold out literally within seconds. But now Xiaomi has announced the availability of Mi Mix in UAE. Confirming the matter Xiaomi said that it is the first part of the global roll out and Mi MiX will be making its way to more markets in coming days. Mi MiX is expected to go on sale in UAE from March. Xiaomi further added the that the Smartphone will be priced at AED 2,999 which translates roughly into 54,500 INR. In the Company's official website the handset has been listed as "coming soon" for the MENA (The Middle East and North Africa) region. 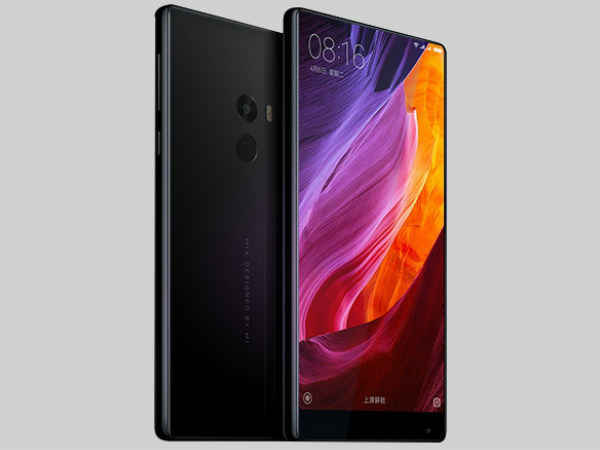 Recently a rumor surfaced that hinted Xiaomi is working on Mi MiX 2 and has plans to launch in May. The rumor also gave sneak peek into the specifications of Mi MiX 2. -Internal storage is 128 GB nad cannot be expanded further. -Sensors: Magnetometer, Proximity sensor, Accelerometer, Ambient light sensor, Gyroscope and Barometer.